A novel look at Italy from the seat of the Boot's trains. Worth a read. Being someone who, like Parks, lives in Italy and has more than a little experience of Italy’s railway system, I was curious to discover what Parks’ had to say about it – so I got hold of a copy of his latest book. 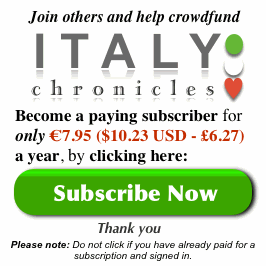 It’s well worth a read, especially if you might be considering moving to Italy, or if you are brave enough to consider setting up a business here, or, for that matter, even considering doing business in Italy. Italian Ways, like Parks’ other books, provides readers with plenty of insight into the Italian mindset and what influence this has on how Italy functions. Perhaps that should be ‘how Italy doesn’t always function’, or, more accurately perhaps, which bits of Italy work well sometimes, but not so well at other times. Italy, even if it does seem to be aware of its foibles, and has been so for decades, is utterly incapable of doing much about them. Perhaps its just unwilling? Who knows? What is clear is that Italy changes ever so slowly and, aptly for the nation which houses the Rome Catholic Church, when it does change, it tends to move in rather mysterious ways. The title of Parks’ book is a clever pun. 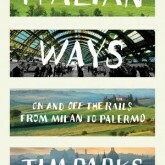 While Italian Ways refers to railways, it is through Parks rail travels that he reveals the Italian way of doing things, or not, as the case may be. In the first part of Italian Ways, Parks talks about his regular commute from Verona to Milan. Now, Verona is not that far from Milan, but despite the distance, the trip provides the ever observant Mr Parks with more than enough material. After thinking that he had finally become used to Italian Ways, both in the rail sense and in general, one fine day, Parks plucked up the courage he’d accrued after 30 plus years of living in Italy to brave a trip by rail all the way from Milan to Sicily. 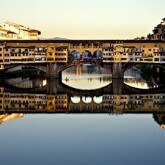 Now, Parks is no beginner to Italy, and he knows full well Italy is no country for beginners. He also knows that a trip from the top to the bottom of Italy is not to be undertaken by those new to Italian ways. Nor, this Italy resident would add, is it an endeavor that should be undertaken by those who don’t speak Italian as well as Mr Parks. 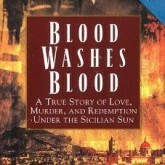 In his Italy’s writings, Parks does not attempt to psychoanalyze Italy directly: he leaves that to his readers. But he does show how Italy’s wackiness is a product of the national character. Mussolini did try to knock Italy into some kind of normal shape, but he failed. Probably because he was far too Italian himself to be able to make any long lasting difference. Italy’s late dictator did, albeit briefly, actually manage to get at least some of Italy’s trains to run on time. After Mussolini left the scene though, Italy’s railways returned to their formerly dysfunctional state, as did Italy. Exactly why Italy is the way it is and what makes Italy tick is something I myself sometimes inch towards comprehending, and then just when I think I might have got it, I end up having to admit to myself that I’m still no closer to understanding just why Italy is the way it is. 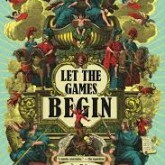 Italian Ways appears to be Parks’ latest attempt to come to terms with the Italian psyche, or rather, to reveal just how loopy and inconsistent Italy can be. After reading his latest book, I’m not too sure whether Parks is really much closer to fathoming out Italy – which means this Italy resident is in good company! “Is Italy part of the modern world or not?” – What a good question, and the answer without having read Parks’ latest and greatest, is probably “partly”, to which one might add, where Italy wants to be part of the modern world. The north of Italy tries very hard and almost succeeds. 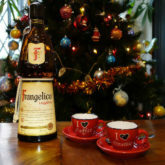 The south, on the other had, does not seem to be worth bothering with, or that’s the impression one is left with after chugging through Italian Ways. Is Italy Really Like That? Parks’ tales of Italy’s rails raised more than a few smiles on this Italy resident’s face, I can tell you. I wonder though, how many of those who have not spent much time in Italy will ask themselves: “Is Italy really like that?”. Well, Parks has been in Italy for 30 years (and is still here), whereas I’ve been here for a little more than half that time. I can confirm that Italy is very much as portrayed in Parks’ Italian Ways. If you harbor any interest in Italy at all, or just want to know more about the kind of country which gave birth to the likes of Silvio Berlusconi and Leonardo Da Vinci, Giorgio Armani, Ferrari and much more, then Italian Ways might help you work Italy out. 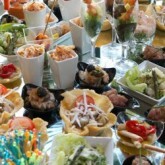 Variety is said to be the spice of life and Italy is veritably overflowing with variety. It’s almost as if Italy’s variety gets out of control, as if the nation were some kind of mad genius. Sometimes Italy’s variety produces incredible levels of creativity, other times, the creativity goes askew and leads to creation of curious characters such as Silvio Berlusconi. 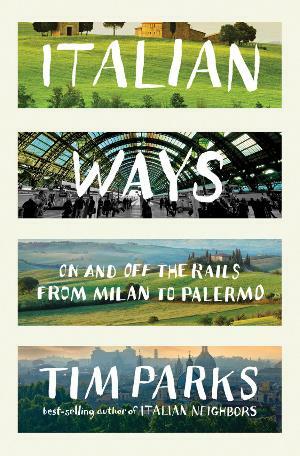 Would I recommend you read Tim Parks Italian Ways? Definitely. 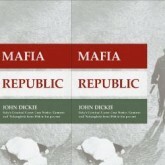 A great book to read while you are in Italy this summer, I’d say. And don’t forget Parks other Italy books either. Does Tim Parks like Italy? Yes he does, even if Parks’ finds it more than a little frustrating at times, and as his little dispute with a ticket inspector illustrates. I’ve read several of Mr. Park’s books and enjoyed them all. As expected this last one had me fascinated with “Italian ways” and only confirmed that I’m best suited for remaining a tourist and distant lover of Italy. 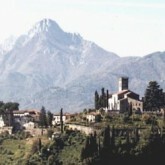 Yes, Kristen, Italy is, at present, best kept as a vacation destination and not a place to live and work in! You could live here and would probably love it – if you did not have to rely on work generated in Italy to support yourself. I know of a few expats who have abandoned Italy for more lucrative nations, and I suspect more will do the same. Italy is not for the faint hearted, especially today. Milan is one of the most amazing and beautiful cities from Italy, don’t miss the chance to visit it!